One can make glasses, cups, saucers, vases and columns for a doll house. In model trains, one can make lighting masts, windows, tanks. Limbs for marionettes and hundreds of classical miniature turning tasks may be carried out with ease. The electronic speed control assists in the lower range in a 'semi-automated' painting process. Motor 230V. 100W. 50/60Hz. Centre distance of 250mm, 40mm swing. 25mm swing over support. Variable speed control covering between 1,000 and 5,000rpm. 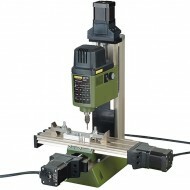 Headstock spindle bore of 10mm. 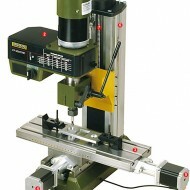 Tailstock travel 20mm. 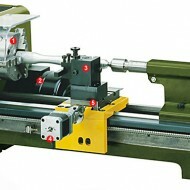 Includes 6 collets (2 - 3 - 4 - 6 - 8 - 10mm), drive centre, live centre and face plate. The bed is made from stable, thick-walled aluminium profile. Square carrier with back centre and 10mm shaft.